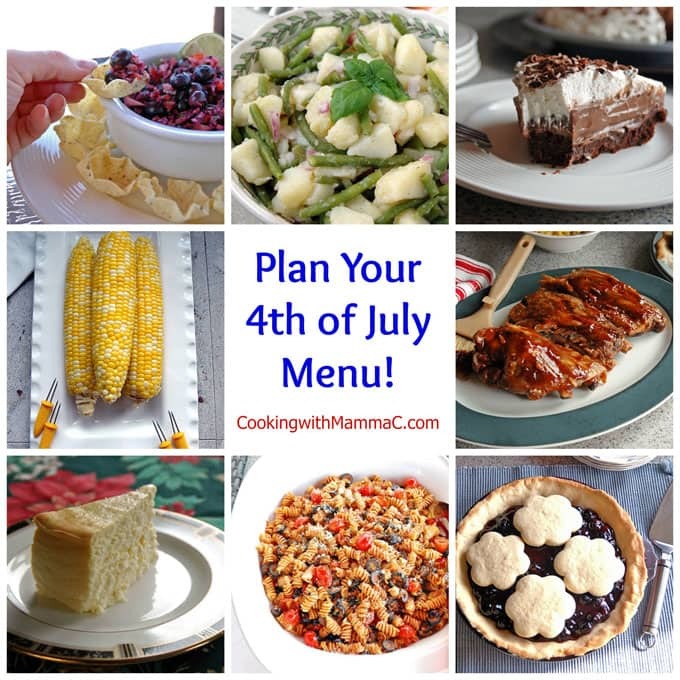 Plan Your 4th of July Menu! 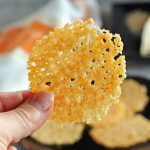 You are here: Home / Appetizers / Plan Your 4th of July Menu! 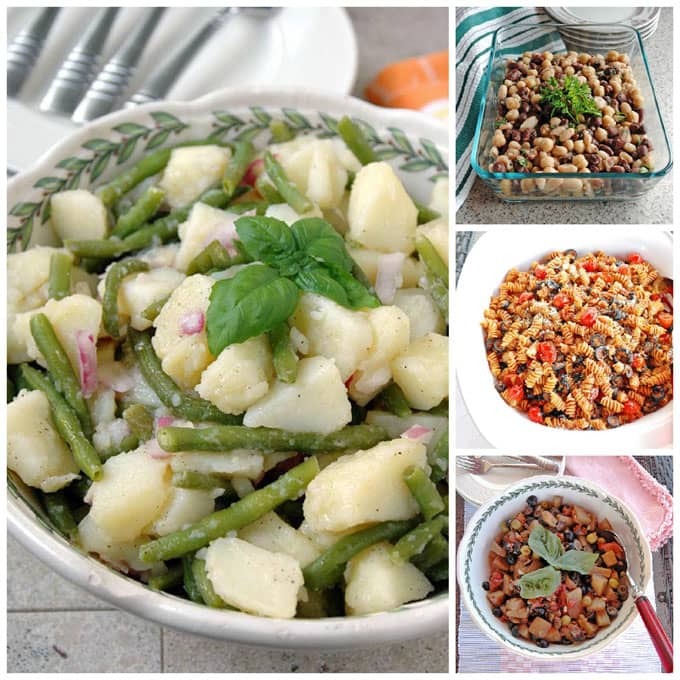 Plan your 4th of July menu with this roundup of Cooking with Mamma C recipes! Choose from appetizer dips, entrees, salads, vegetable side dishes, fruit desserts, chocolate desserts and cakes! Is it just me, or did the 4th of July sneak up on us this year? I can’t believe it’s coming up on Monday already! Whether you’re hosting a shindig, celebrating quietly at home or need to bring a dish to a potluck, I want to help you plan your menu. 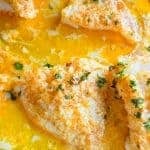 I’ve pulled my favorite recipes that are perfect for a summer party buffet, barbecue or cookout. And, I assume you know how to grill hamburgers and hotdogs, so I’m covering the rest. Are you ready? 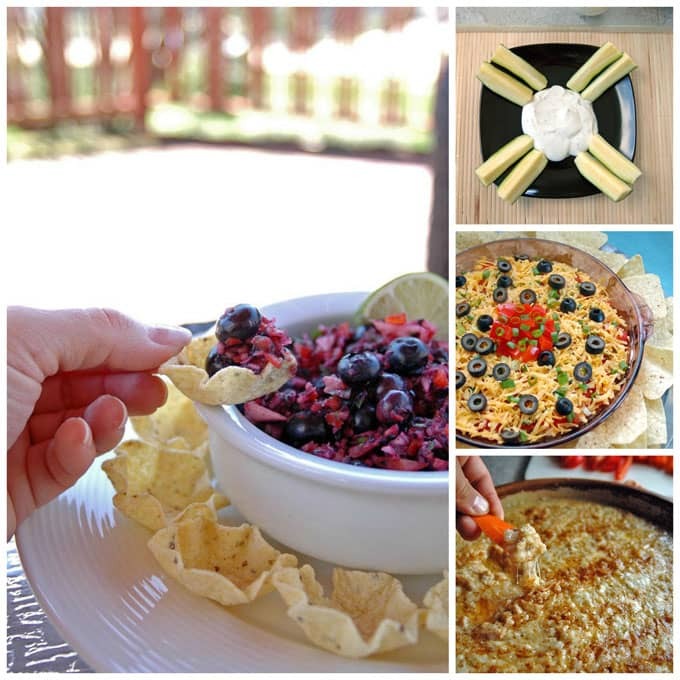 Appetizer Dips: Red, White and Blueberry Salsa is savory and sweet, plus vegan and gluten free. My Son’s Homemade Ranch Dressing is great for dipping veggies. Seven-Layer Taco Dip from Scratch is always a hit. And Clams Casino Dip (meatless) is a cheesy, hot appetizer made with clams but no bacon. It’s a huge family favorite! 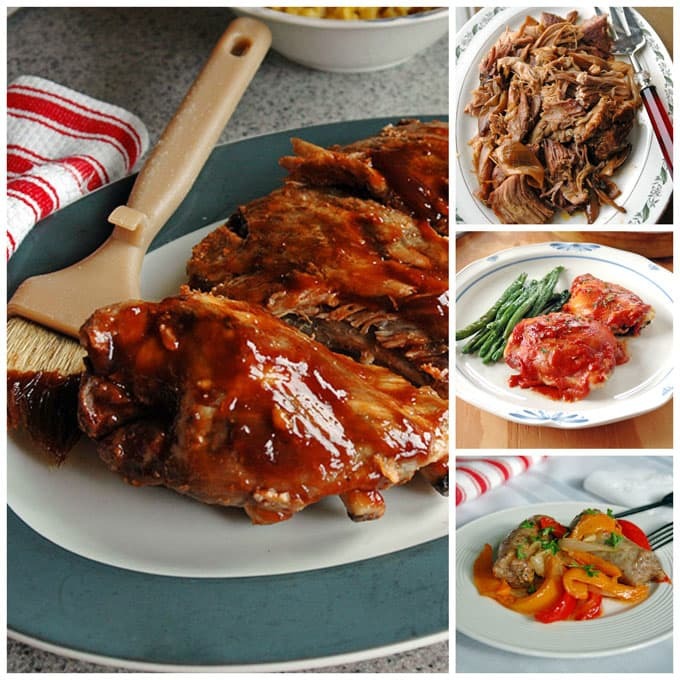 Put your Crock Pot to work and make it easy for yourself by making Super Easy Slow Cooker BBQ Ribs or Slow Cooker Carolina Pulled Pork that can be used for sandwiches. Nonna’s 4-Ingredient BBQ Chicken is baked, but it’s a cinch to make and so tasty. And, you can never go wrong with my Easy Sausage and Peppers, which you can stuff into hoagies for the best Italian sandwiches! 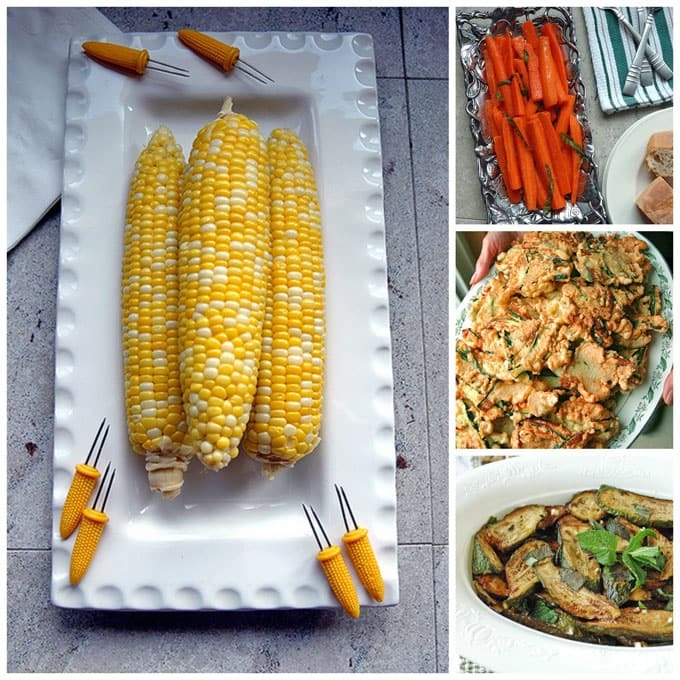 Vegetable Side Dishes: What’s a summer gathering without The Best Corn on the Cob? And you’ve got to try this simple and delicious Italian Carrot Salad with Basil. If you’re not opposed to busting out your frying pan for a special occasion, Nonna’s Batter-Fried Zucchini will rock your world! This Zucchini with Mint is also fried, but it’s vegan and gluten free and topped with vinegar and garlic. It’s the perfect Italian dish for a summer buffet! 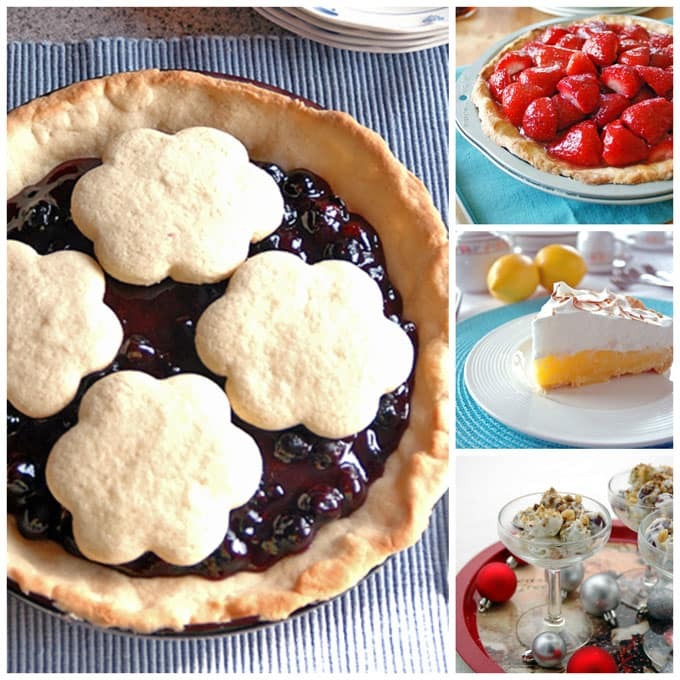 Fruit Desserts: Have you tried our favorite summer dessert — Blueberry Pie with Sugar Cookie Crust? It’s phenomenal. If you like a bit of booze in your dessert, how about my refreshing Strawberry Amaretto Pie? And, have you ever noticed that everybody loves lemon desserts? My Lemon Meringue Pie with Easy Olive Oil Crust will knock your socks off. And, if you’ve only got 15 minutes but want to be the party hero, you’ve got to make this wildly popular Grape Dessert Salad. Cakes: I’ve made these cakes a combined total of 100 times, and that’s no exaggeration. They’re all rock stars. 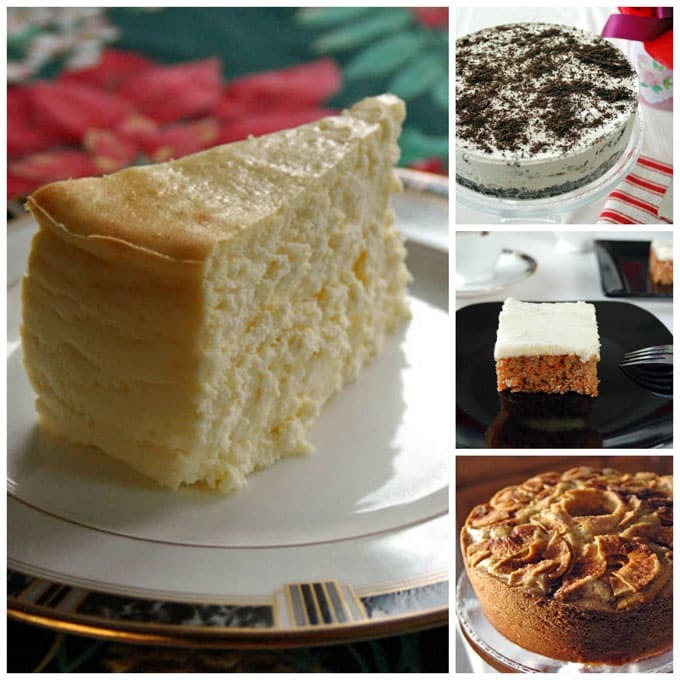 First, we have this luscious, gluten-free Fluffy Crustless Cheesecake, which has been pinned more than 16,000 times (!) 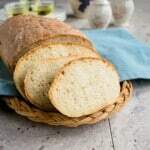 and is one of the most popular recipes on Cooking with Mamma C. You’ll need to make it at least the day before to allow for baking, resting, and chilling. Next, we have Vanilla-Caramel Ice Cream Cake with Oreo Crust, which just screams summertime and has been a family favorite for years. This Carrot Cake with Blissful Cream Cheese Frosting is fantastic (I just made it again the other day). Everyone who tries it declares it’s the best carrot cake ever. 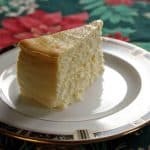 And finally, we have the granddaddy of them all, The Best Apple Cake, which I’ve made more than 60 times and is the most beloved dessert to ever come out of my kitchen. Happy menu planning, and have a Happy 4th of July! What a great roundup for the holiday! I’m glad that for once I’m not in charge of the food for this occasion! Lucky you! 🙂 Thanks, Renee. Surely take the guess work out of the weekend. 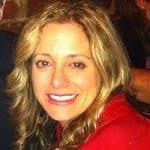 Love this roundup. That pasta salad!!! The pasta salad is so delicious and always a hit. Thanks, Renz! 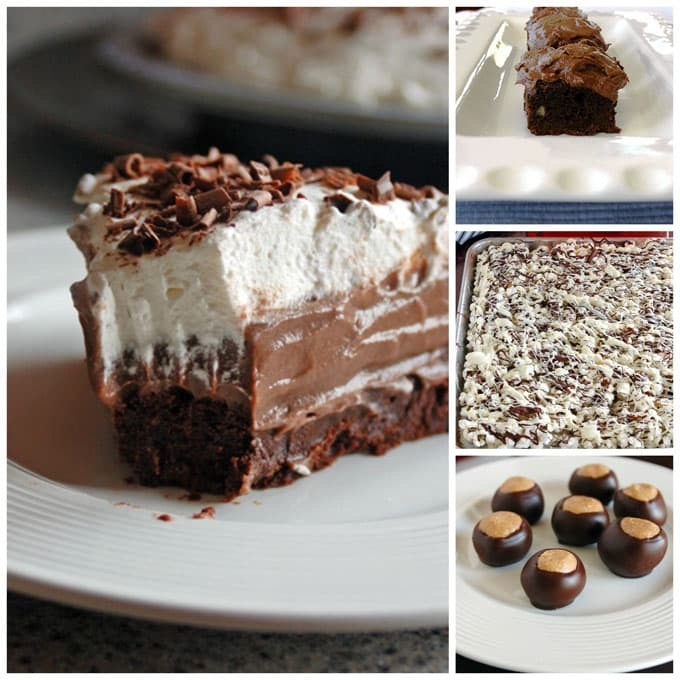 These are some of my very best recipes! Thanks, April. Planning a menu for what I hope will be a whirlwind weekend of drinks, restaurant jaunts and outside picnics is proving to be more difficult than I expected – and this round-up is a step in the right direction! I am particularly looking forward to the fruit desserts. I know how crazy it can be, Ksenia! I’m glad this is helpful. Enjoy!